Curly Essence: Tell us a bit about the history of your curly hair…. Tyla Lauren: I would’ve never thought I would go natural. I spent every year up until freshmen year of college flat ironing my hair because I was super insecure about my natural hair. I went to a predominantly Caucasian elementary and middle school so no one had curly hair everyone’s hair was pin straight so standing out was never something I wanted to do. I feel like because I had no idea how to take care of my natural Hair I never tried or bothered to try and go natural. Curly Essence: How long did you find yourself in the transition process – Transitioning to Natural – and why you made this decision? Tyla Lauren: It started during 2012, sophomore year of college. I took it serious 2014 and I thank one of my good friends Nakita for pushing me to experiment and go natural. She always joked around with me saying people buy your hair and would kill for it, It’s time for you to embrace it! Curly Essence: What is the hardest part of your transition? Tyla Lauren: The awkward weird stage where my hair was half straight half wavy and I couldn’t really style it cause products weren’t do anything so I could only do protective styles. 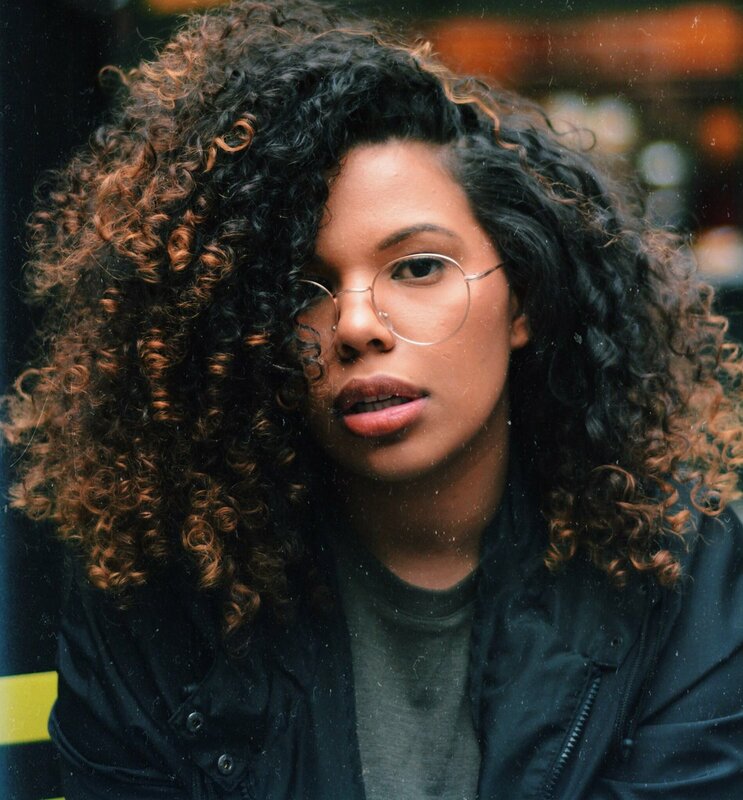 Curly Essence: Are you always worried about in having your curls in perfect shape, or are you more of an apologist of the “let it be”? Tyla Lauren: I do love a perfect shape but I’ve learned to accept my hair has a mind of its own and it will do whatever it wants. Curly Essence: Is there a secret that you can share concerning your curly hair? Tyla Lauren: Treatments of all kinds at least once a week! Especially deep conditioning. Curly Essence: What products do you recommend and can’t live without? Curly Essence: What were the worst mistakes you made? What advice would you give to anyone who wants to venture out to embrace their curls? Tyla Lauren: I should’ve started earlier and gave up heat faster and my hair would probably be ten times more healthy right now. Curly Essence: What’s the best thing about being curly?